This article is all about eating the right type of food, and how to eat the right way. 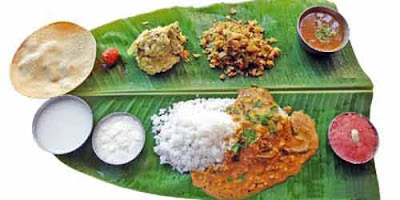 Here are 10 healthy food habits to for a long healthy life as per Hinduism. The information is based on Hindu scriptures. Today, there is lot of food and fruits on disposal. Our ancestors never had this number of food and fruits on disposal. But they appreciated food more in the olden days. They were aware of what they were eating. They knew what to eat during a particular season. They knew what to eat at what time of the day. Lifestyle diseases and food related health problems were unknown. Today we no longer appreciate food. We do not respect food. We abuse it and the net result is numerous lifestyle diseases. We should be always aware of what we are eating. Do not simply eat something out of the packet or from restaurants. Always know what you are consuming. Read carefully about all readymade foods. Make an effort to cook and eat healthy food. Know the calorie count of each readymade food. The time it takes to digest. Will the food make you uncomfortable? Make an effort to study about the various food items that you consume regularly. A lot of vegetables that we use daily can be grown in our balcony, terrace or kitchen garden. When we grow our food, we know what kind of food we are eating. It will be more pure. It is real sattvic food as we are connected with nature. Some people proudly announce am a vegetarian but do they have any idea the amount violence is done to create vegetables. The amount of pesticide used can kill a healthy human being. Honey bees, butterflies, small birds and helpful worms are killed by the pesticide. Today, we are all in a hurry. We often gulp our food. This is can cause health issues including life-threatening ones’ like choking. When you chew your food, it becomes easy for your stomach to digest. Undigested food is a major health concern today. Your plate should have various different colors of natural food. This includes various colorful vegetables, leaves, fruits and sprouts. When there are various different colors of vegetables and fruits on your plate, it means majority of the required proteins, iron, vitamins, calcium and fiber are taken care off. The body needs daily dose of minerals, which are found in water. You should keep drinking water in frequent intervals. Avoid drinking water while eating as it hampers digestion process. Drink water 30 minutes before or after consuming the food. Taking aerated drinks along with food is a common habit among many people today. This causes numerous health problems – most common are diabetes and obesity. Proteins should be part of our diet. This is found in meat, egg, lentils, soya and other protein rich foods. There should be a proper balance in our diet. Nothing should be in excess. Too much rice (carbohydrate is not good for the body). Similarly avoid oily food. There should be a perfect balance in what we eat. 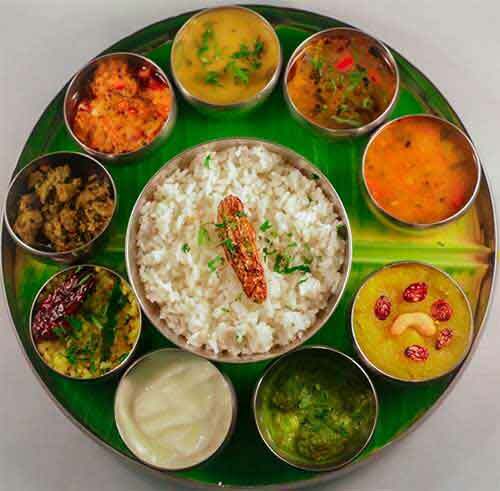 An Indian Thali is a balanced meal. It contains everything in the required quantity. But we have tinkered with the balance diet. We now consume more friend items and sweet. Fried items and sweet are only a part of traditional Indian meal. Carbonated drinks and greasy fast foods only appease our taste buds. We all know what they are unhealthy. Keep them out as much as possible. Cook at home with family, friends and relatives. Make a little effort; learn to make simple healthy foods. Start with salads. It is true that we all cannot be master cooks but we can always cook something to eat. Eat with family. Keep out mobile phones. Switch off the TV. Appreciate the food that you are eating. Appreciate the person who cooked it. Discuss about food. Plan what you want to eat for the next meal. Breakfast is the most important meal of the day. It should not be skipped. Eat healthy breakfast, which contains proteins, calories, vitamins, fiber, iron and calcium. Eat like a king in the morning. Like a pauper in the evening. Do not overeat something you like. Do not starve because you did not like the food. You should never fill your stomach to the brim. Leave some space. One quarter should be empty.